A FLARE FOR THE LENS. 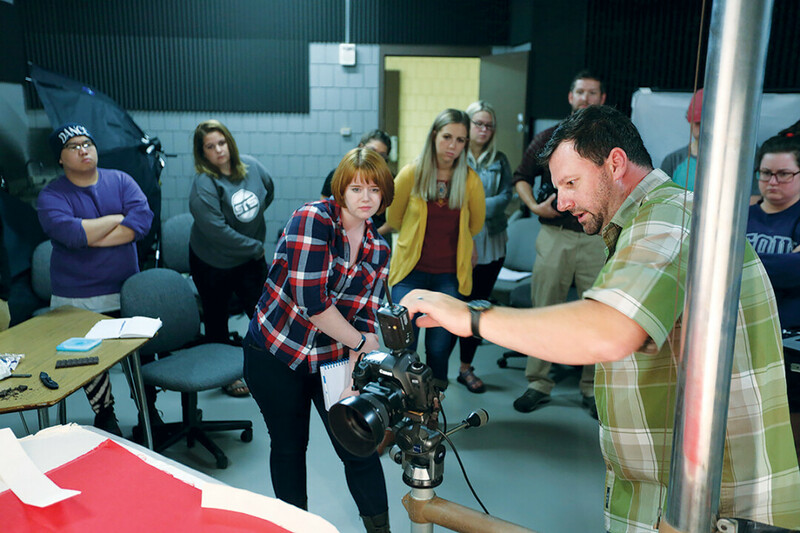 UW-Stout’s Bachelor of Science degree in video production builds on the school’s existing photography and video minor. UW-Stout brought the number of its undergraduate majors to 50 after the UW System Board of Regents approved a proposal to add a bachelor of Science degree in video production. Applications are already being accepted for the program, which will begin in fall 2019. The program builds on the existing photography and video minor offered at UW-Stout, along with the undergraduate degrees in digital marketing technology; graphic communications; graphic design and interactive media; and a digital cinema concentration in entertainment design, said Provost and Vice Chancellor Patrick Guilfoile. Guilfoile told the Regents’ Education Committee on Oct. 4 that the new major is unlike others offered in the UW System because UW-Stout’s version is aimed at meeting the needs of business and industry. Students will be introduced to industry standard software and hardware for digital image capture, editing, and compositing. Hands-on learning in the studio and on location will emphasize creative and critical thinking skills, principles of visual literacy, technical processes of video/media technologies, and the planning and management of video/media production. Areas of coursework will include video, lighting, audio, digital imaging, conceptual storytelling, editing, studio production, motion graphics, digital cinematography, sound design, and scriptwriting. The projected enrollment in the new major after five years is 112 students. UW-Stout received more than 10 letters of support from employers and others who thanked the university for establishing a program that will fill a growing need for video production. More on the bachelor of science degree in video production can be found at www.uwstout.edu/programs/bs-video-production.